Mt Baldy is Calling You! Mt Baldy, or as it is officially named, Mt San Antonio, peaks at 10,064 feet and is the highest in the San Gabriel Mountain range of Southern California. It stands like a beacon, calling you to come and explore. It is an outdoor recreational playground. Along with skiing and biking, you’ll find one of the best hikes in the Los Angeles area and one that will be enjoyed by any hiking fan. In addition, this Travologist highly recommends that you put this one on your training strategy if you are planning a Mt Whitney expedition. The Baldy Notch – Devil’s Backbone and the Baldy Bowl – Ski Hut trails are the primary paths to the top. You can do them as a loop that will take you just under 11.5 miles with about a 4,000 foot elevation gain. This can be a challenging hike especially during certain climate conditions. The payoff at the summit is incredible and you will have a fantastic sense of accomplishment with this one! The Devil’s Backbone is probably one of the most infamous parts of the trek. The path narrows and becomes more barren and there are a few ominous drop-offs at points. If you have issues with heights this part of the hike may find you in a precarious position. Just breathe – you’ll get through it and you’ll have a good story to tell later that night over a well-deserved cocktail. On your way back down (or as a stand-alone experience) at 7,800 feet you’ll come upon the Top of the Notch restaurant. Offering spectacular views this is a great place to rest up and enjoy. The Notch is typically open weekends and holidays during the summer and every day during ski season. If you don’t want to hoof it to the Notch, you can take the Sugarpine chairlift up or down. The trailhead for the Baldy hike is located off of Mount Baldy Road just north of the Manker Campground. There is ample parking, however, this this a popular hike so arrive early to secure your spot. Actually you are going to want to arrive early anyway – this is definitely a day hike. 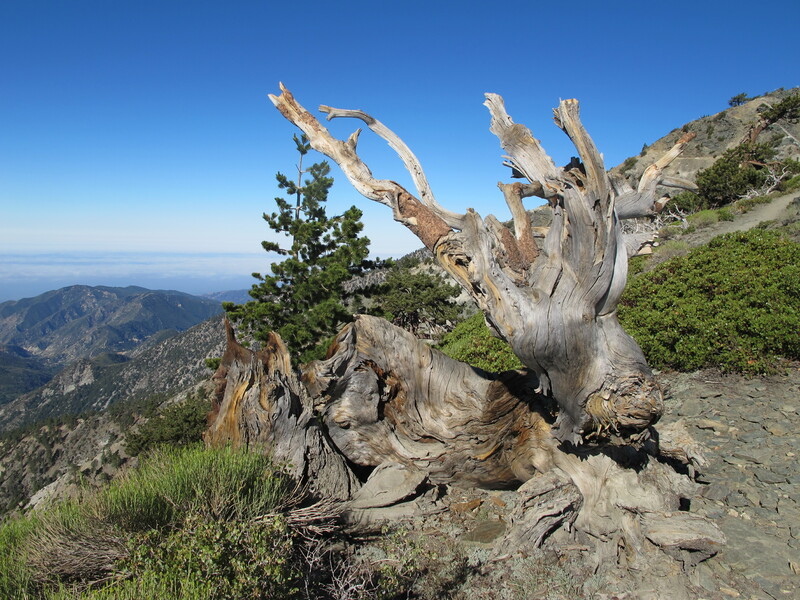 The Mt Blady trail is one of many incredible hikes in Southern California. It’s a great place to wander.